The Beauty of Life: The Beauty of Life Turned 8! Happy Blogiversary to Me! 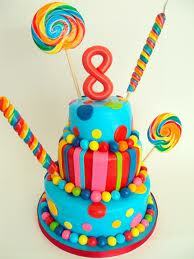 The Beauty of Life Turned 8! Happy Blogiversary to Me! A little over 8 years ago -- on January 12, 2007 to be exact -- The Beauty of Life was born. I'd been wanting to start a blog for awhile, but was struggling a bit with what I should write about. At the time, LiveJournal was all the rage (remember that?) and my brother gave me a very sage piece of advice: "Whatever you do, Jamie, don't start a LiveJournal blog. You don't want just anyone reading about your exploits." How very right he was! So as I looked around my room one night, eyes settling on everything from nail polishes and body creams to eyeshadows and candles, I suddenly realized that I had a lifelong passion for (read: obsession with) all things beauty. And just like that, I started this very blog! 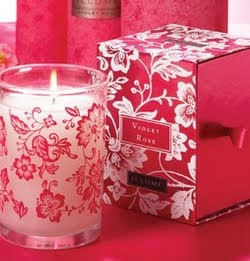 At the time, I was burning the Illume Violet Rose Candle. I loved this candle so much, in fact, that I decided to make it the subject of my very first post! Over the last eight years, I've written not only about my other favorite candles, but about skincare, haircare, bath & body, makeup and of course, nails. I've interviewed beauty industry heavy hitters and attended New York Fashion Week. I've been fortunate to try some truly fabulous spa treatments, everywhere from New York to Los Angeles and even in Grand Cayman. To date, I've written a grand total of 2554 blog posts! Thanks so much for reading The Beauty of Life and coming along on my journey for the past eight years. I'm eternally grateful for all of the experiences having this blog has allowed me. I simply can't wait to see what's still in store. What an amazing achievement! Happy Blogiversary, Jamie! Thank you so much, Lola! Happy Birthday! Here's to many more! 8 years, what an achievement! Congrats! Such a great milestone!! Congratulations to you and here's to many more!!!!!! Thank you so much, Dani! Congratulations! Continue writing, you have the skilllzzzzz!!!!!! Congrats! That's an amazing number of posts. Happy Bloggy birthday! Yay - that is such an awesome milestone. Congratulations, Jamie, that's quite an accomplishment! 2554 blog posts??? INCREDIBLE! Your journey delights your readers!